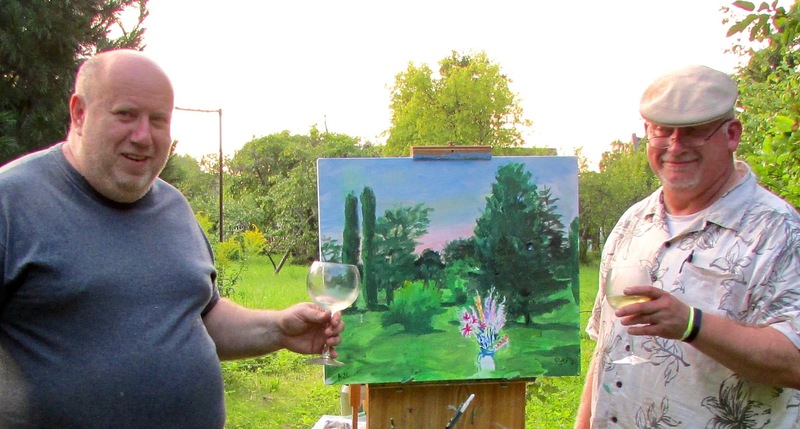 I painted this en plein air in 2013 at the summer house of Professor Aleksejs Naumovs, former rector of the Latvian Academy of Art and my first painting teacher. 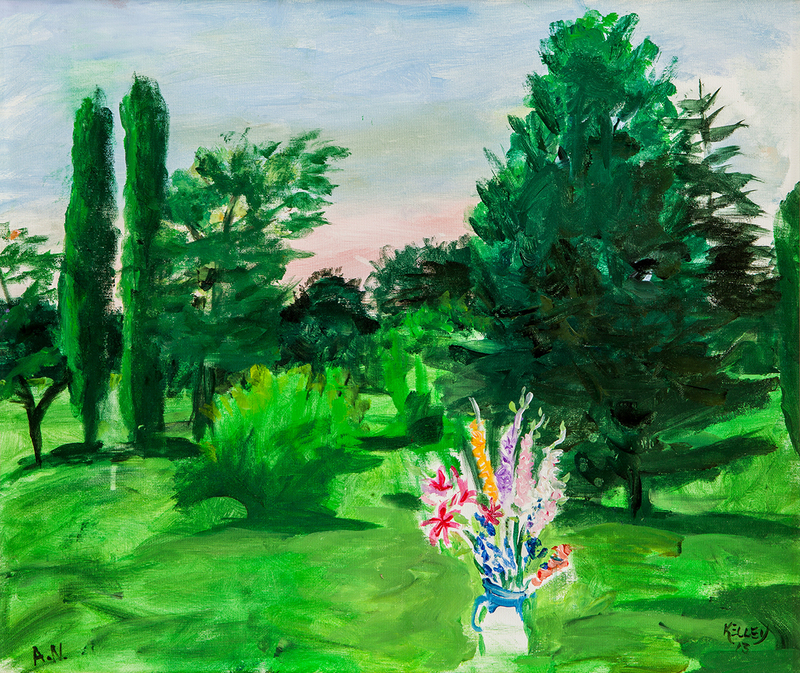 The idea was to paint a landscape which included a vase of flowers. 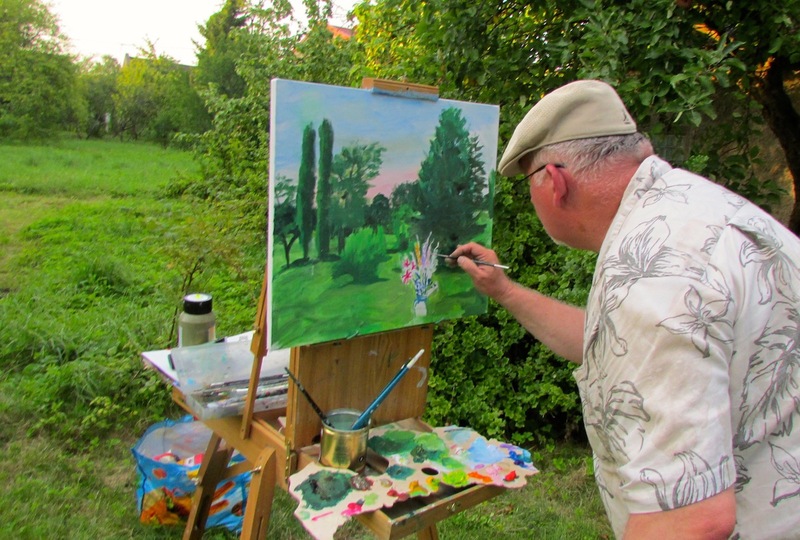 His brush also touched the canvas; hence the initials A.N. can be seen at the lower left.